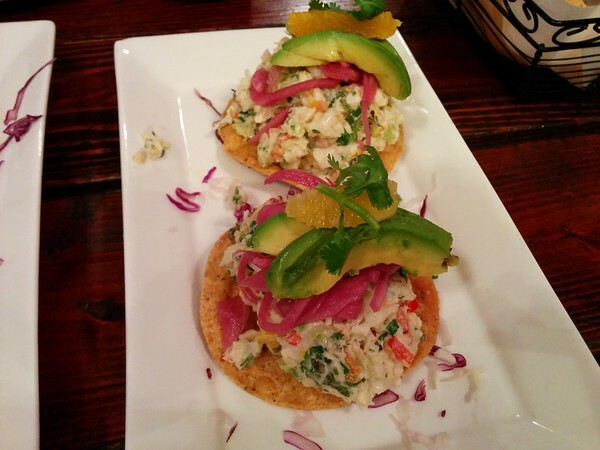 La Viga is a Latin American eatery, somewhat setback from the heart of Redwood City downtown. In case you didn’t know Redwood City (RWC), it is the city with “Climate Best by Government Test”. As a Bay Area resident, I can attest to the fact that it is one of the prettier of San Francisco Bay Area cities but I am still questioning the climate after an year of living in this city. 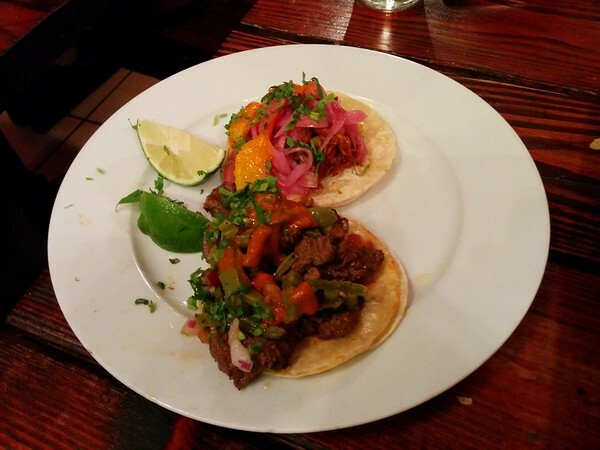 Normally, if you are craving tasty tacos you will be eating at one of the many taquerias along the Middlefield where the best tacos in Bay Area are to be found. But if you want a nice sit down place (shared tables) with a more vibrant ambiance, La Viga it is. 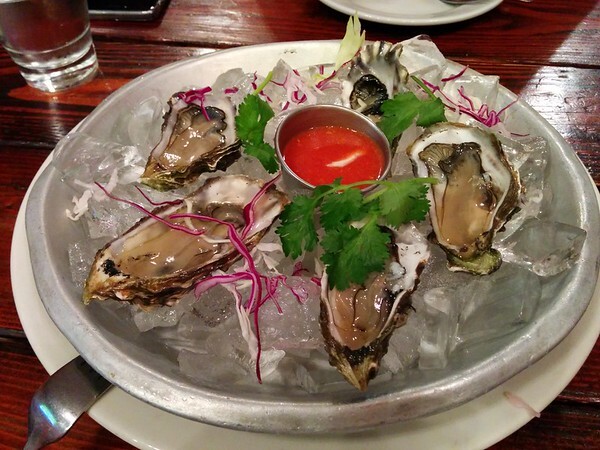 Ostiones Frescos: Raw oysters served with lime sauce. 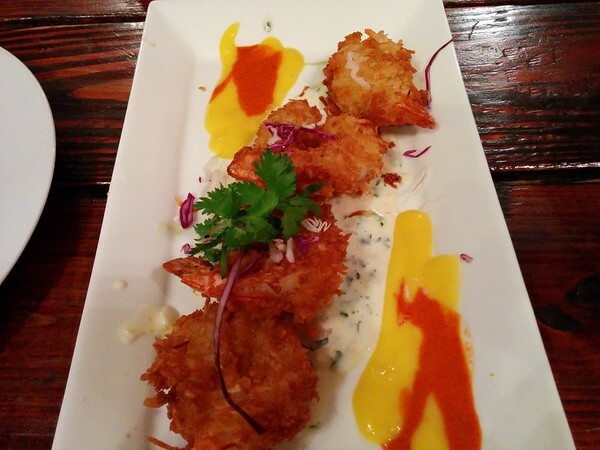 Camarones Al Coco; A mildly sweet dish of crispy coconut crusted prawns with sweet habanero sauce. 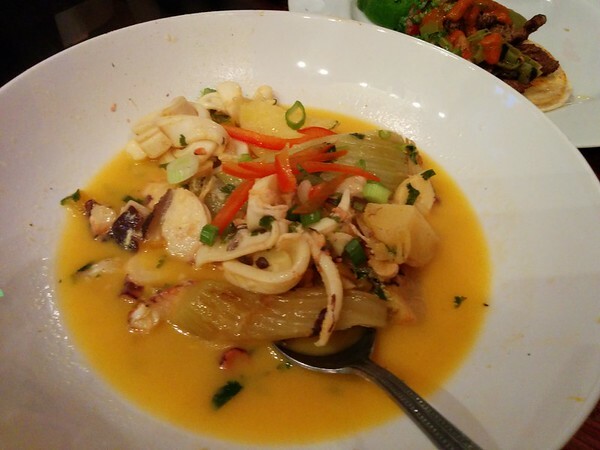 Pulpos Salteados – sautéed octopus and calamari, baby potatoes, rocoto chile, fennel in a flavorful saffron sauce. If I had to pick a favourite, it had to be the Oysters on the Half Shell (I am partial to taste of sea) and Pulpos Salteodos. Latter reminded me of Nikkei cuisine from Barcelona’s Pakta. Catrinas Taqueria, same site where Tacos Los Gemelos used to be. 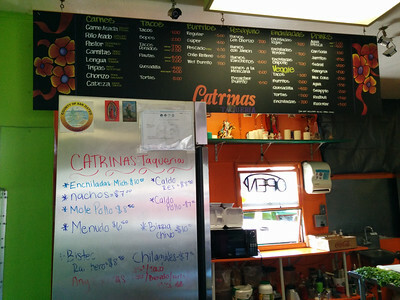 We recently moved to a new home in Redwood City, Bay Area’s local Mexicana. Memories of Los Gemelos took us to the spot where Caterina now stands. Yes, the Lavendaria is still next door – bleach smell whafting in threatens to drown out the smell of seared meat. A sensual throaty voice was singing to some not to sensual music. The new owner is clearly fond of the “day of the dead” imagery. And food, well you can rarely go wrong with tacos, fatty bits of pig are fried to crispiness, served with corn tortillas (aah, gluten free….) and topped with spicy salsa.